Neal P. Gillen - Fast-paced thrillers, memoirs, and a dramatic love story realistically set in New York and other unique cities in addition to an essential guide to self publishing. Fast-paced thrillers, memoirs, and a dramatic love story realistically set in New York and other unique cities in addition to an essential guide to self publishing. 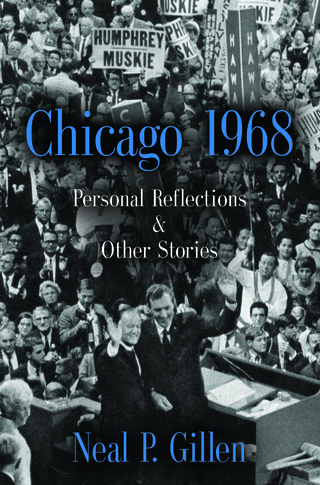 Chicago 1968: Personal Reflections & Other Stories is a collection of short stories, both fact and fiction. Its lead story (one fourth of the book) details the behind the scenes action from the perspective of a Vice President Hubert H. Humphrey operative of what really happened in Chicago during the tumultuous 1968 Democratic National Convention that nominated Humphrey; including the political chicanery of Chicago political boss Richard J. Daley who tried to lure the remaining Kennedy brother, Senator Edward "Ted" Kennedy, into the nomination process; the fight among Democrats prior to the convention amidst the specter of the Vietnam War; the intrigue on the convention floor; the riots in the streets; and police brutality in the convention headquarters hotel. There are 31 additional true stories pertaining to politics, military service, and business, all topical and humorous including one about working for Donald Trump's father Fred on a Coney Island construction project. The book ends with four fictional stories about the life of ordinary Americans. Rendezvous in Rockefeller Center is a roller coaster love story set in New York City and Charleston, South Carolina. It uncoils the mysteries of life, love, and lost opportunity taking the reader from physical love, doubt, abandonment, and long-time separation to a startling revelation resulting in forgiveness, redemption and perhaps a second chance. 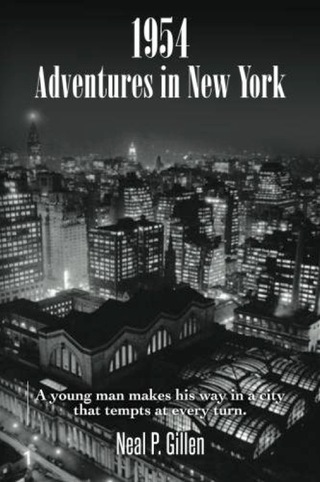 Young and in love in New York City, a young man tempers the sparks due to his doubt and insecurity. He abandons the relationship to serve in Vietnam and eventually to a self-absorbed life in the idyllic setting of Charleston, South Carolina. Despite his acquisition of wealth and a score of female relationships, he is unfulfilled. A chance meeting in New York’s Penn Station by a mutual friend with the woman he loved but abandoned leads to their Rendezvous in Rockefeller Center. In their dramatic and touching meeting in this iconic location his life is repurposed by a strong woman’s revelations, proving that the past is always with us and can reengage our lives at any moment. In researching digital or Print on Demand (POD) publishers to determine who would publish my next thriller, I concluded that the subject was worthy of a book in order to share my findings with other writers. The results of my efforts is How To Publish Now. * Demonstrates how to prepare your manuscript for publication. costs involved by comparing the leading publishers. In over a hundred true and untold stories, Gillen takes you from his days in Navy to his life in politics and the law, where he encountered fascinating people. He has has woven together an interesting and eclectic cross section of characters, good and bad, rich and famous, and politicians of all stripes from presidents on down. He tracked down Paderewski's heart in a Brooklyn cemetery and negotiated for the rights to photograph the body of Ernesto "Che" Guevara with a representative of a corrupt Bolivian general. “A master raconteur shares his often hilarious and always interesting stories of a life well-lived. 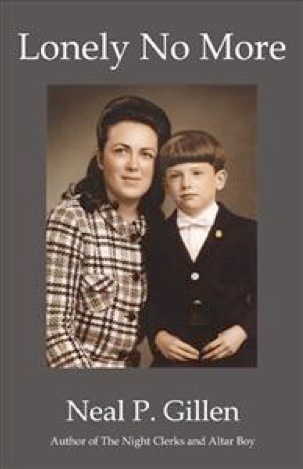 Whether personal anecdotes or insider glimpses of politics and famous personalities, Neal Gillen has something to entertain everyone.” Barbara Esstman, author of The Other Anna and Night Ride Home. "All of us enjoy reading biographies of famous people, carefully crafted and edited for the eyes of history. Yet often we learn more from the unscripted encounters of others who have touched shoulders with the famous. 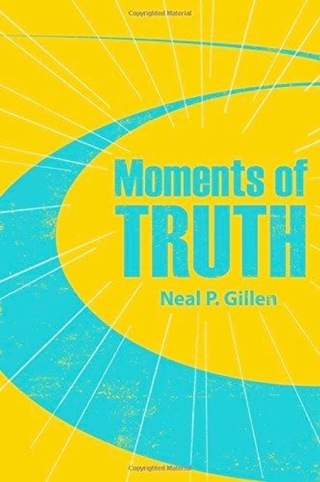 Gillen's Moments of Truth gives us such delightful tales and memories." Wilson Wyatt, Executive Editor of the Delmarva Review. In trouble in school, home, and on the streets, a young man with the help of friends struggles to find himself. It’s a journey, really an oftentimes zany adventure, to turn things around while dealing with the many temptations that New York City offered in 1954. Quirky, memorable, and gritty characters romp through the Big Apple having the time of their lives. Set in a unique era - a time described by Buck O'Neil as: "That was New York City when it was New York City." Kitty rules through sexual high jinks, mayhem, and murder in this fast-paced and often humorous New York City thriller. Kitty, a psychopathic sexual predator, lures two NYPD Detectives into her controlling web as they achieve hero status following a deadly confrontation with a vicious leader of the Russian Mafia.